Myran is deadly hot, the ground is cracked open and rays of lethal light flash through the city every day. But nothing worries Donovar as much as the constant threat of attack. When he was a soldier, Donovar never imagined he’d be ruling the empire. He hates it. Despite holding a third of the voting power, he’s never felt so powerless to make any real change. He supported the war in Shense to hunt down and capture the Selsahn rebels, but then they went underground. Disappeared. And when they started targeting civilians, everything changed. Now magical attacks ravage the empire, people keep dying in impossible ways and they’re no closer to stopping the rebels than they were two years ago. There’s only one option he can see: give up and pull out of Shense. Bring the troops home. But the council won’t stand for it. As long as this war lines their pockets, they’re not pulling out. And the public are so angry, so driven by fear, that even the suggestion of surrender would brand him a coward and a traitor. He’d be kicked out of the Diarchy in the blink of an eye. Donovar’s a war hero, after all. He should be stronger than that. No - Donovar’s going to have to work in secret. He’ll have to do everything he hates: lie, cheat and backstab his way through the politics and the bureaucracy. If that doesn’t work, he might even need to get out the old sword. Because he’s running out of time. He’s beginning to suspect there’s more to these attacks than meets the eye and, if he can’t find a way to end it soon, the next might be the one that kills them all. The wretch wiped spit from her cheeks. A figure loomed over her, anger distorting the bronze wrinkles on his face. The wretch lay waiting round the corner and pressed to the floor until he was out of earshot. She looked at her spoils. Brushing orange dust from the single bronze drachm she clasped between her bony fingers, she sighed. It was pointless: she couldn’t eat it and nobody would sell to a Shem. Nobody honest anyway, and she daren’t risk trying to buy from anyone else. Letting the coin drop into the dirt, she made herself small and hurried away, clinging to the walls of the buildings for shade. The farmer had let her go, but the harsh sun would not be so forgiving. It was approaching Hardlight and she had still not found food. This was the second day running, and if she did not eat tonight she would not have the energy to search tomorrow. She would starve. She would probably die. 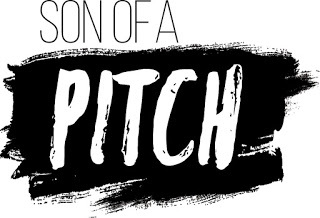 Thanks so much for participating in Son of a Pitch! I'm really excited to get to read your entry. Myran is deadly hot, the ground is cracked open and rays of lethal light flash through the city every day. But nothing worries Donovar, who holds one-third of the voting power in the empire, as much as the constant threat of attack from the Selsahan rebels. Thanks to the rebels, people are dying in impossible ways, and Donovar is no closer to stopping the magical attacks ravaging the empire. Despite all his power, he feels helpless to make any real change. The only choice left is to give up and pull out of Shense, but the Council won't stand for it. As long as the war lines their pockets, they have nothing to lose. With a frightened populace demanding justice, the problem is worsening by the day. With little choice left and a strengthening belief that the attacks aren't solely the work of the Selsahan, the reluctant war hero finds himself working in secret to save his people. Even if he has to lie, cheat, and backstab his way to victory, he will win. He doesn't have a choice. Not when the next attack might very well kill them all. Your query is all about Donovar, but your opening is all about a nameless Shem. Is this a prologue? If not, you might want to consider starting in a different spot for the sake of clarity. Introduce us to the war hero we met in the query! If this is a prologue, you might want to consider using your first chapter as your first 250 instead of the prologue. It's a common practice when a prologue is included, especially if it deals with characters who aren't introduced in the query or who play a minor role. As for this section itself, I would, personally, revise so the last paragraph is first because it's a lot more powerful than your opening line. I'd also give the wretch a name in that paragraph so people are more easily able to identify with her. No one knows what a Shem is, but we can identify with one if we know she has a name and isn't really that much different from us. It was approaching Hardlight and Ayden still had not found food. This was the second day running, and if she did not eat tonight she would not have the energy to search tomorrow. She would starve. She would probably die. Ayden wiped spit from her face to see an angry figure looming over her, anger distorting the bronze wrinkles on his face. He spat again, this time at her feet. Curling herself inwards, she scuttled away, keeping low to the floor. Ayden lay waiting round the corner, pressed to the floor until he was out of earshot. She looked at her spoils. Brushing orange dust from the single bronze drachm she clasped between her bony fingers, she sighed. It was pointless: she couldn’t eat it and nobody would sell to a wretched Shem like her. Nobody honest anyway, and she daren’t risk trying to buy from anyone else. Letting the coin drop into the dirt, she made herself small and hurried away, clinging to the walls of the buildings for shade. The farmer had let her go, but the harsh sun would not be so forgiving. Suggestions only, of course, but I hope they help. One other quick thing... your paragraph about the farmer needs to be tighter to avoid the illusion of head hopping. I made a few minor tweaks in my suggestion above to tighten it up. Thank you so much for the time and effort you've put into critiquing this. It is really useful. Some of the shifts and moving around you did with the query have really helped clarify some things for me and I will be redrafting soon. As for the start, I don't know why it was cut off, but the end of my query originally said: "The Deserved is an epic fantasy novel told from three perspectives: a leader, a soldier and a survivor." The book is told from three distinct POVs and so the first chapter is not a prologue, just not the same POV. I felt that it was better to focus on one POV in the query rather than all of them (it became very messy). Do you think that even with this line I should avoid the first chapter and the query being about two different people? As for the 250 - thanks again. I totally agree with the whole head-hopping thing and need to go fix that. 'The wretch' unfortunately has no name, or identity, or past, as far as she remembers in this chapter. They were all taken from her - that's kinda the point of her character arc. I don't know whether that comes across in the first 250 or not, but certainly something else I have to consider. Thanks again. Really useful stuff. If there are 3 main characters, you really do need to introduce them at least briefly in the query. Otherwise, when editors/agents start reading, they aren't going to know why they aren't reading about Donovar, but some character they didn't even know existed. You can go into all the nitty gritty in the synopsis, but definitely give them at least a little about all three in your query so it's not completed unexpected and confusing as to why they're reading about someone other than Donovar. He supported the war in Shense to hunt down and capture the Selsahn rebels, but then they went underground. Disappeared. (I'd say they went underground OR disappeared, no need to use extra words in a query.) And when they started targeting civilians, everything changed. Now magical attacks ravage the empire, people keep dying in impossible ways (give me a taste, a detail of this magic and the impossible ways people are dying, tiny details can really stand out.) and they’re no closer to stopping the rebels than they were two years ago. There’s only one option he can see: give up and pull out of Shense. Bring the troops home. Thank you so much for the critique. Really helpful. I have redrafted both the query and 250 words and will add it below. If you get a chance this week, I'd love to hear your thoughts on it! Your query felt bogged down with details for me (great, vivid details, but nonetheless, too mnay) I reread and tried to focus on parts that would reveal the protag, the stakes and the final quagmire. My musings may be helpful – or not ☺ Either way, sounds like a great story! (Myran is deadly hot, the ground is cracked open and rays of lethal light flash through the city every day. But nothing worries Donovar as much as the constant threat of attack. He supported the war (did this war lead to the temperate changes? I’m assuming the these are changes and not the normal condition) to hunt down and capture the Selsahn rebels, but then the rebels disappeared underground. Now magical attacks target civilians and ravage the empire. Donovar and (his army? His team?) are no closer to stopping the rebels than they were two years ago. There’s only one option he can see: give up and bring the troops home. But as long as this war lines the council member’s pockets, they’re not pulling out. The mere suggestion of surrender would brand him a coward and a traitor. Donovar will have to do everything he hates: lie, cheat and backstab his way through the politics and the bureaucracy. If that doesn’t work, he might even need to get out the old sword. Because he’s running out of time. He suspects there’s more to these attacks than meets the eye. If he can’t find a way to end the war, the next attack might be the one that kills them all. The wretch lay waiting round the corner and pressed to the floor until he was out of earshot. (Did she hate the way she was treated? Emotional response here? Or did she dismiss it as a way of life?)) She looked at her spoils. Brushing orange dust from the single bronze drachm she clasped between her bony fingers, she sighed. It was pointless: she couldn’t eat it and nobody would sell to a Shem. (did hunger peck at her? ) Letting the coin drop into the dirt, she made herself small and hurried away, clinging to the walls of the buildings for shade. (what about support since she needs food?) The farmer had let her go, but the harsh sun would not be so forgiving. It was approaching Hardlight and this was the second day running she had still not found food. If she did not eat tonight, she would not have the energy to search tomorrow. She would starve. She would probably die. I liked your first 250 very much. I tinkered a bit with some of the sentences and added a few questions and wanted a bit more from the Shem, but your descriptions were very well done. Enjoyed what you shared and would have kept on reading. All thoughts/suggestions/opinions are humbly offered. Thanks for sharing your words. When he was a soldier, Donovar never imagined he’d be ruling the Myranese empire. He hates it. Despite holding a third of the voting power, he’s never felt so powerless to fix anything. And in a city where the sun can be fatal, the ground treacherous and rays of lethal light flash every day, nothing worries Donovar as much as the constant threat of attack. He supported the war in Shense to hunt down and capture the Selsahn rebels, but then they went underground, they started targeting civilians, and everything changed. Now magical attacks ravage the empire: churches frozen in ice, buildings melted to sludge and more dead than Donovar can count. Through it all, the empire is no closer to stopping the rebels than they were two years ago. There’s only one solution he can see: give up and pull out of Shense. Bring the troops home. But as long as this war lines the council member’s pockets, they’re not pulling out. And with a frightened populace demanding justice, the problem is worsening by the day. He’d be kicked out of the Diarchy for even suggesting it. Donovar’s a war hero, after all. He should be stronger than that. No - Donovar’s going to have to work in secret. He’ll have to lie, cheat and backstab his way through the politics and the bureaucracy. If that doesn’t work, he might even need to get out the old sword. Because he’s running out of time. He’s beginning to suspect there’s more to these attacks than meets the eye. If he can’t find a way to end it soon, the next one might mean the end of the Diarchy, the empire and even civilisation itself. The Deserved is a fantasy novel that follows three perspectives: a leader who doesn’t know how to lead, a soldier who’s never been in a fight, and a wretch who can’t even remember her own name, as they do whatever they can to survive in a war than none of them really understand. It was approaching Hardlight and the wretch had still not found food. This was the second day running, and if she did not eat tonight she would not have the energy to search tomorrow. She would starve. She would probably die. The wretch wiped spit from her eyes to see a figure loomed over her, anger distorting the bronze wrinkles on his face. The wretch lay waiting round the corner, pressed to the floor, until he was out of earshot. She looked at her spoils. She brushed the orange dust from the single bronze drachm she had clasped between her bony fingers and sighed. It was pointless: she couldn’t eat it and nobody would sell to a Shem. Letting the coin drop into the dirt, she made herself small and hurried away, clinging to the walls of the buildings for shade. As she headed towards the nearest waybridge, the wretch felt that she might welcome death. A reprieve from the struggle. An end. But somehow she pushed on, driven more by instinct perhaps, than by any conscious decision of her own. I purposely didn’t read the original query or the comments of my fellow judges since you’d already let me know (via Twitter) that there was a new version. So, here are my thoughts on the latest revision. The good news is that I’m being pretty nitpicky, because it’s working pretty well overall. “He hates it” though was a little ambiguous: he hates the empire? or ruling? “hates” is also not the strongest or most character-revealing verb. Maybe you can put the second and third sentences together to build something stronger? That feeling powerless part has my sympathy. Second paragraph: Rather than repeat “they” in such short succession, consider rewording to avoid using “they” a second time. The magical attacks are creepy-wonderful-cool. Third and fourth paragraphs work well for me! While the ending paragraph is interesting information on the book’s structure, I’m not sure you need it in this query. The rest is very solidly with Donovar, and since the goal of a query is just to the get the publisher or agent to ask for more pages, you might be unnecessarily muddying the waters by bringing in the other two perspectives at the end. 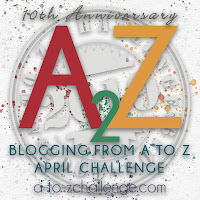 250 words: Ah! Now I understand why you wanted to mention the wretch in the query. She begins the book. Unfortunately, the fact that Donovar isn’t in the 250 words makes a disconnect between the query and the excerpt. That’s not going to be a problem for everyone, but it might be for some potential publishers or agents. The selection itself read well, though. You gave enough detail, but not too much. I felt for the wretch and at the same time learned a little bit about the class system of this society. I would read more. Thanks again. I definitely agree with your comments about rhythm and some sentences dragging a lot. I've already made some edits and reposted. Your comments have been very useful. When he was a soldier, Donovar never imagined he’d be ruling the Myranese empire. But despite holding a third of the voting power, he’s never felt so powerless to fix anything. And in a city where the sun can be fatal and the ground treacherous, nothing worries Donovar as much as the constant threat of attack. He supported the war in Shense to hunt down and capture the Selsahn rebels, but then they went underground, started targeting civilians, and everything changed. Now magical attacks ravage the empire: churches frozen in ice, buildings melted to sludge and more dead than Donovar can count. Through it all, the empire is no closer to stopping the rebels than they were two years ago. There’s only one solution he can see: give up and pull out of Shense. Bring the troops home. The Deserved is a fantasy novel that follows three perspectives: a leader who doesn’t know how to lead, a soldier who’s never been in a fight, and a wretch who can’t even remember her own name, as they do whatever they can to survive in a war that none of them really understand. The wretch lay waiting round the corner, pressed to the floor, until he was out of earshot. She looked at her spoils. She brushed the orange dust from the single bronze drachm she had clasped between her bony fingers and sighed. It was pointless: she couldn’t eat it and nobody would sell to a Shem. Nobody honest anyway, and she daren’t risk trying to buy from anyone else. Letting the coin drop into the dirt, she made herself small and hurried away, clinging to the walls of the buildings for shade. I like your changes! The query gives me all the information I need. I love the addition of the magical attacks, a nice detail that makes me want to read. I wonder about linking the query and first 250 more...If the word Shem was in the query...if the wretch thought about Myran in the first page of the ms. I do love your description and emotion around the woman, really captivating. Thanks a lot. Yes - the wretch is actually in Myran at the start, so I can probably fit that into the first 250 words pretty easily. It's definitely in the first 500. She did not relish the prospect of what lay ahead. The waybridges were long; they needed to be to span the giant gorges and connect the plateaus. They criss-crossed the fragmented districts of the capital, connecting them in a complex spider web of life and activity. Whether you lived in the dusty and more derelict areas in the south or in the opulent northern homes, you could follow a line of bridges directly to the Palace of the Blessed. It was home of the mighty Diarchs of Myran - the centre of power. The wretch had never been there. I will critique your revises query/250 words. He hates it. Despite holding a third of the voting power,***so he's not one almighty emperor. He shares this, a bit like in Sparta? *** he’s never felt so powerless to fix anything. And in a city where the sun can be fatal,***any reason why? *** the ground treacherous and rays of lethal light flash every day, nothing worries Donovar as much as the constant threat of attack. He supported the war in ***"the land of"maybe? 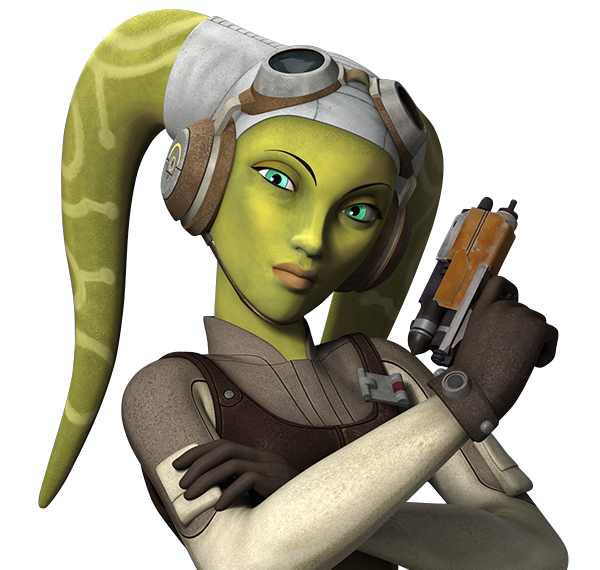 With these story specific details for fantasy, you need to make it clear***Shense to hunt down and capture the Selsahn rebels, but then they went underground, they started targeting civilians, and everything changed. Now magical attacks ravage the empire: churches frozen in ice, buildings melted to sludge and more dead than Donovar can count. Through it all, the empire is no closer to stopping the rebels than they were two years ago. There’s only one solution he can see: give up and pull out of Shense. Bring the troops home. No - Donovar’s going to have to work in secret. ***I'm not a fan of this sentence. I believe you could make this more intriguing by using outwit, or cunning, or deceit. He's the leader working against the system,make THIS powerful*** He’ll have to lie, cheat and backstab his way through the politics and the bureaucracy. If that doesn’t work, he might even need to get out the old sword. ***This sentence should be stronger as well. ***Because he’s running out of time. He’s beginning to suspect***make this "he suspects" to make it more active*** there’s more to these attacks than meets the eye. ***how so? Does he discover something? *** If he can’t find a way to end it soon, the next one**attack/assault etc, just not "one"** might mean the end of the Diarchy, the empire and even civilisation itself. Cool. Lots to think about. Thanks a lot! I really appreciate your time. The wretch wiped spit from her eyes to see ***change this to remove "to see" try making it two sentences,like "The wretch wiped spit from her eyes. A figure loomed over her..." this makes it less telling. ***a figure loomed over her, anger distorting the bronze wrinkles on his face. The wretch lay waiting round the corner, pressed to the floor until he was out of earshot. She looked at her spoils. She brushed the orange dust from the single bronze drachm she had clasped between her bony fingers and sighed. It was***Try to remove "it was" as much as possible. Maybe try something like, "Possessing the coin would never be of use to her...*** pointless: she couldn’t eat it and nobody would sell to a Shem. Letting the coin drop into the dirt, she made herself small and hurried away, clinging to the walls of the buildings for shade. As she headed towards the nearest waybridge, the wretch felt***passive** that she might welcome death. A reprieve from the struggle. An end. But somehow she pushed on, driven more by instinct perhaps, than by any conscious decision of her own. It's a bit strange to me that the query would focus on one character, but the sample doesn't have him in it at all. After building an interest with Donovar, as a reader I want to see him, not someone I know nothing about. That said, you are the one who knows your story best. My recommendations are to watch out for passive voice, show vs tell etc. It's hard, and something even I haven't perfected yet, so don't give up! No - Donovar’s going to have to work in secret. He’ll have to lie, cheat and backstab his way through the politics and the bureaucracy. If that doesn’t work, he might even need to get out the old sword. Because he’s running out of time. He’s beginning to suspect there’s more to these attacks than meets the eye. If he can’t find a way to stop them soon, the next one might mean the end of the Diarchy, the empire and even civilisation itself. THE DESERVED is a fantasy novel that follows three perspectives - a leader struggling to lead, a soldier who’s never been in a fight, and a wretch who can’t even remember her own name - doing whatever they can to survive in a war that none of them understand. The wretch crept forward, stomach aching and hands reaching. It was approaching Hardlight and she had still not found food. This was the second day running, and if she did not eat tonight she would not have the energy to search tomorrow. She would starve. The wretch jerked back and wiped the spit from her eyes. A figure loomed over her, anger distorting the bronze wrinkles on his face. Hey Nick! Good adult fantasy is what I live for and I am very excited to read your story! He supported the war in Shense to hunt down and capture the Selsahn rebels [I'd love to have a visual on what these rebels look like/are like], but then they went underground, started targeting civilians, and everything changed. Now magical attacks ravage the empire: churches frozen in ice, buildings melted to sludge and more dead than Donovar can count. Through it all, the empire is no closer to stopping the rebels than they were two years ago. There’s only one solution he can see: give up and pull out of Shense. Bring the troops home. No - Donovar’s going to have to work in secret. [I really think theres needs to be a better transition here. This sentence ruins it for me and I'm immediately pulled out of the scene.] He’ll have to lie, cheat and backstab his way through the politics and the bureaucracy. If that doesn’t work, he might even need to get out the old sword [Does he not fight any more as a leader?]. Because he’s running out of time. He’s beginning to suspect there’s more to these attacks than meets the eye. If he can’t find a way to stop them soon, the next one might mean the end of the Diarchy, the empire and even civilisation itself. I really enjoy this scene and getting to see the wretch. However, I am not a fan of where you end the 250 words. It seems very abrupt and I would find a way smoother way to leave off Other than that, you seem to have a great story with interesting characters. I'd love to see more of them in the query and if possible, in the 250 words too.